Tendons are bands of tough connective tissue at the ends of muscles that transfer forces between muscles and bones to move joints and maintain posture. They store kinetic energy, absorb shock, and aid in proprioception. To endure the great forces placed upon them, tendons must be strong and rigid, yet flexible enough to participate in joint movement. The initial response after strain is inflammation. The remodelling phase begins one to two months after injury. Through this process, tendons adapt and grow in thickness and length. Nonsteroidal anti-inflammatory drugs (NSAIDs), assist with pain management. They seem to drop the pain in painful tendons in the reactive stage if used short term. However, NSAIDs have been shown to supress tendon healing in animal studies in the longer term. 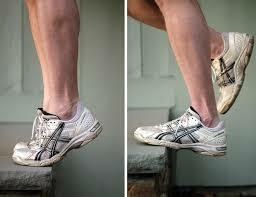 Eccentric exercise is the most effective type of exercise for treating tendinopathy. Pain is tolerated during this exercise; however, if significant pain persists after the exercise, the resistance should be decreased. There are no contraindications to eccentric exercise. 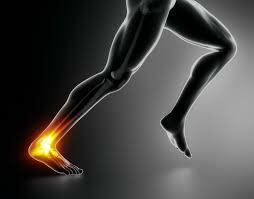 Isometric Exercise is an option in early recovery to help settle the tendon. Theoretically, the administration of shock waves to an injured tendon induces micro trauma that stimulates blood flow. 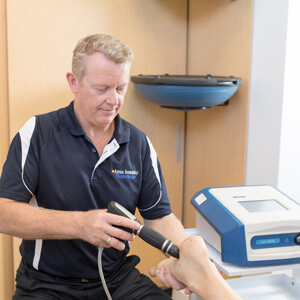 Extracorporeal shock wave therapy (ESWT) targets the tendinopathic tissue and requires four weekly sessions. Injections of platelet rich plasma, derived from the subject’s own blood, directly into the tendon supposes that the platelets release growth factors into the damaged tissue helps with healing. Although anecdotally there are many success stories with this intervention, there is still not a lot of strong evidence for it’s use. Tendon surgery is generally considered a last resort for those who fail conservative treatment. Surgery removes the areas of diseased tendon, along with the accompanying neovascularisation, and stimulates a new healing process. This is accomplished through either ultrasound guided percutaneous tenotomy, sometimes called needling, or tendon debridement and repair via arthroscopic or open procedures.